They are certified by LPCB to LPS 1175 Issue 7 Level SR3. 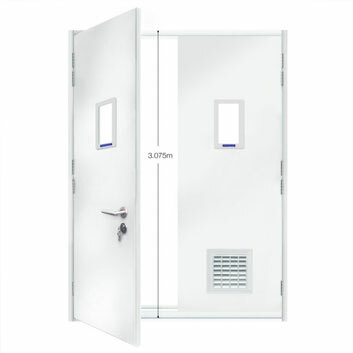 ExcluDoor® 3 Mk 2 ‘extra high’ option. 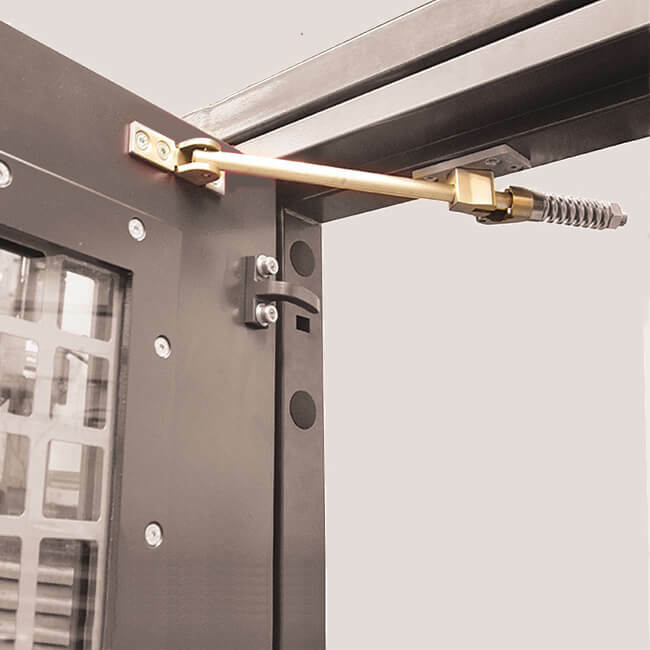 High security slimline multi-point locking from Surelock McGill is used with a range of certified locks and emergency escape furniture. Available as single leaf, leaf-and-ahalf and double leaf doorsets. 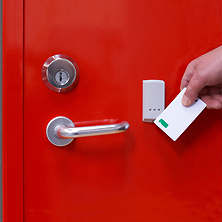 Available as ‘extra high’ doorsets to fit structural openings up to 3.075 meters without compromising the security rating. Tough recessed stainless steel hinges with anti-crushing fixings. Anti-lever cover plate to closing edge of door leaf. Size: 43-44 mm thick composite door leaf with 2.5mm thick anti-lever cover strip to closing edge. A wide range of locks and panic furniture is available including Surelock McGill and Mico devices. An ExcluGlass® 3 rated vision panel can be fitted. An ExcluVent® 3 rated ventilation panel can be incorporated either at the top of bottom of the door, or in both positions. The vision panel and ventilated panel can be used in combination with each other. ExcluDoor® 3 Mk 2 'extra high' option.